Blowout game between the Lakers and Bulls back in the day where Kobe decimates Jordan and Pippen. Shaq gives some insight and a nice post-game interview after. 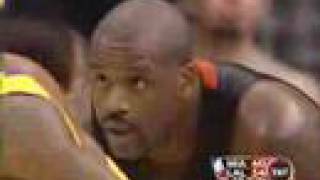 Kobe Bryant, Shaquille O'Neal fear NBA commercial ... KOBE shoves SHAQ. 01:01. ... Shaquille O'Neal fear NBA commercial .